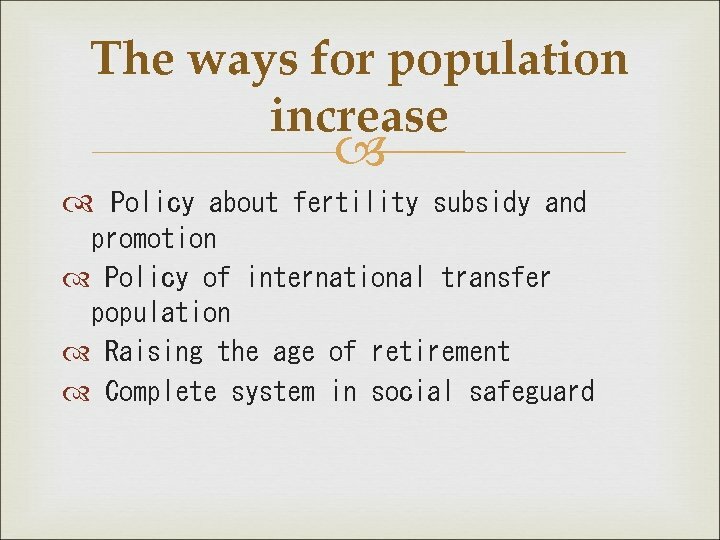 Introduction What is the challenge of our demographic of growth and decrease? 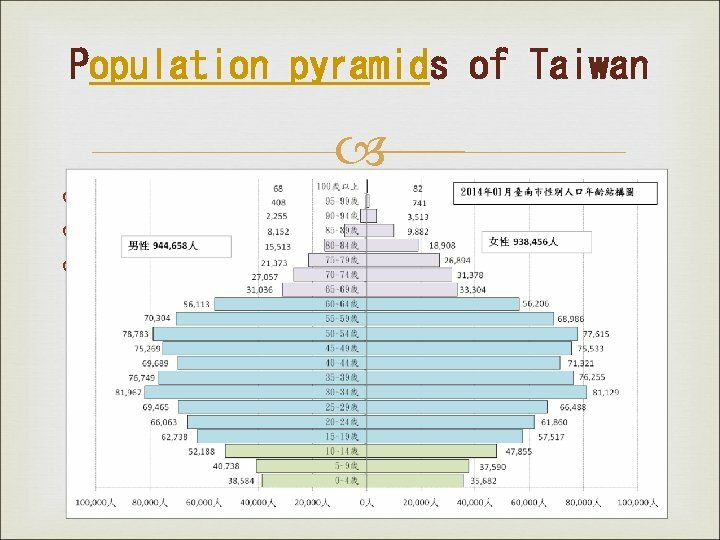 Do you feel like curious about the difference between our Population Pyramid from others in the nation? 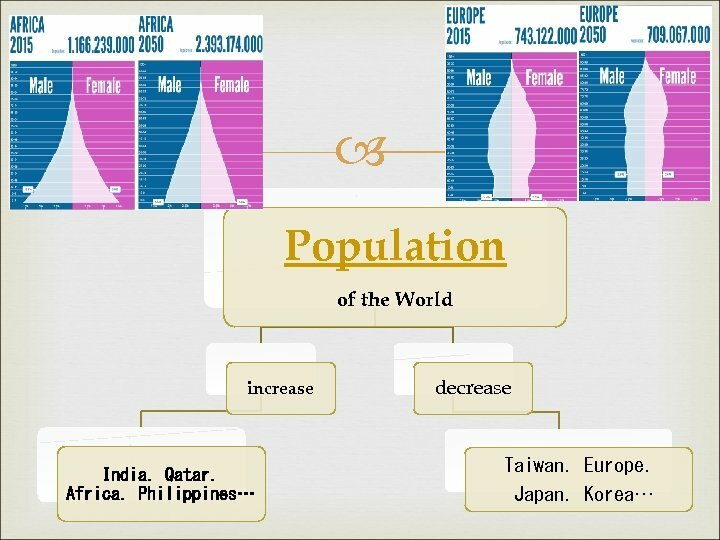 The Earth’s population continues to increase. 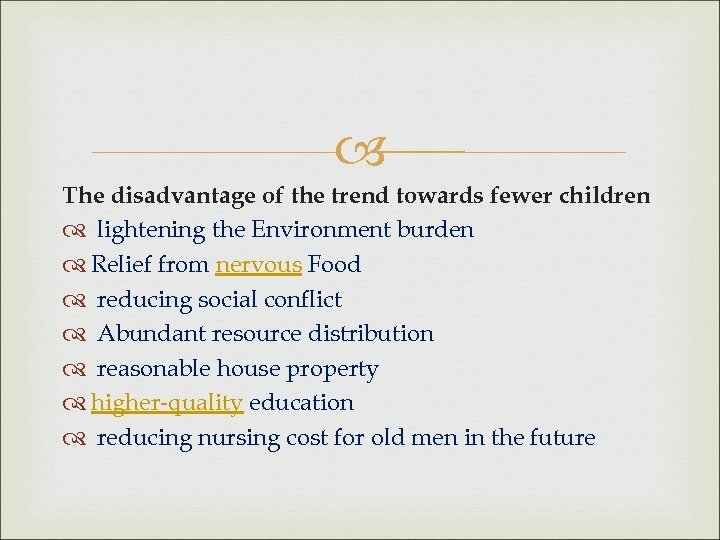 Everyone faces excessive resources and the catastrophic loss of pressure. 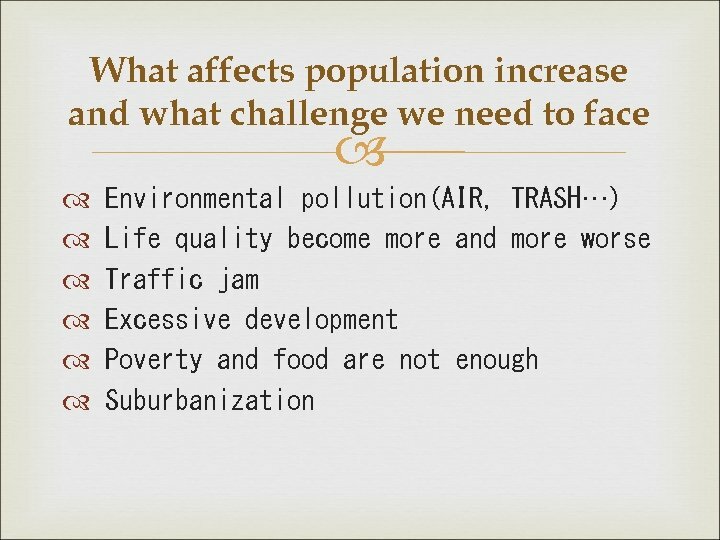 The problem of the population is not only a challenge but also a warning. It reminds us to change in order to make the earth develop sustainably. 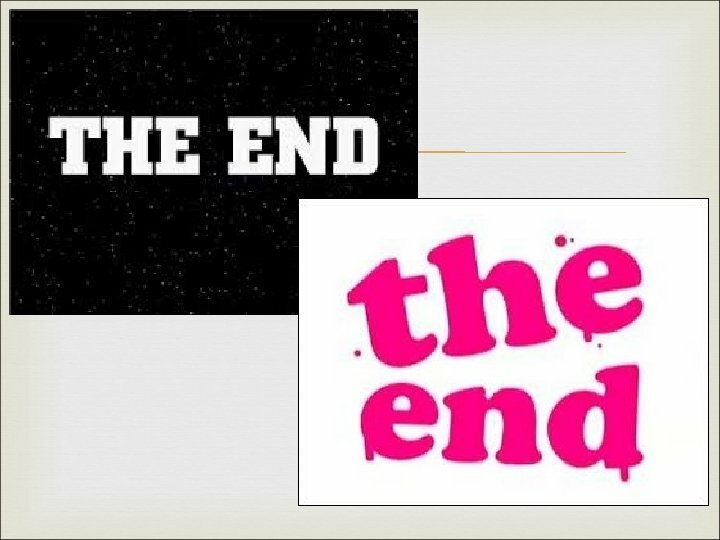 Two hundred years ago, there were only one billion people on Earth. 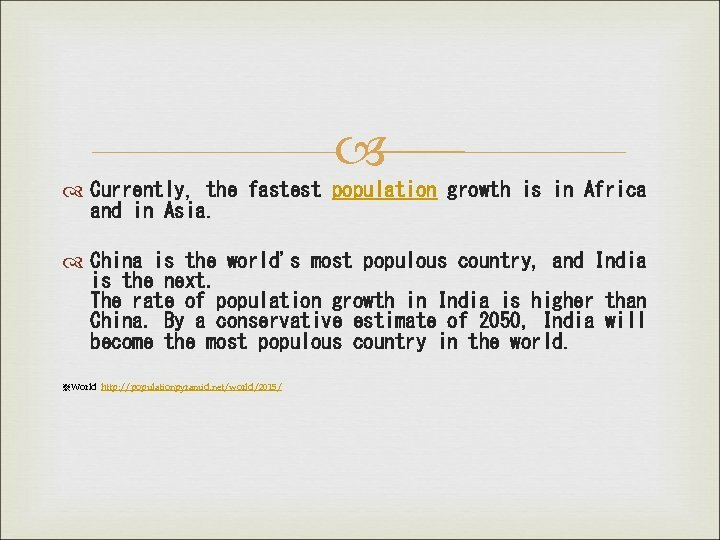 But in 1999, the population has exceed six billion. 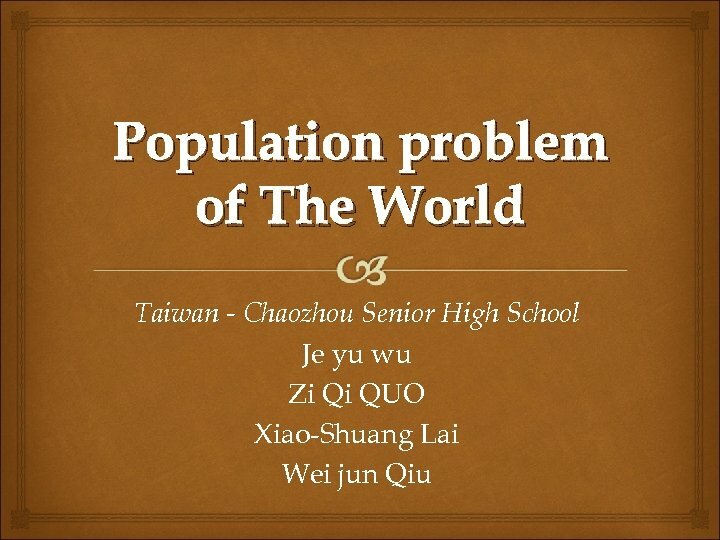 Now the number of the world’s population is more than seven billion. 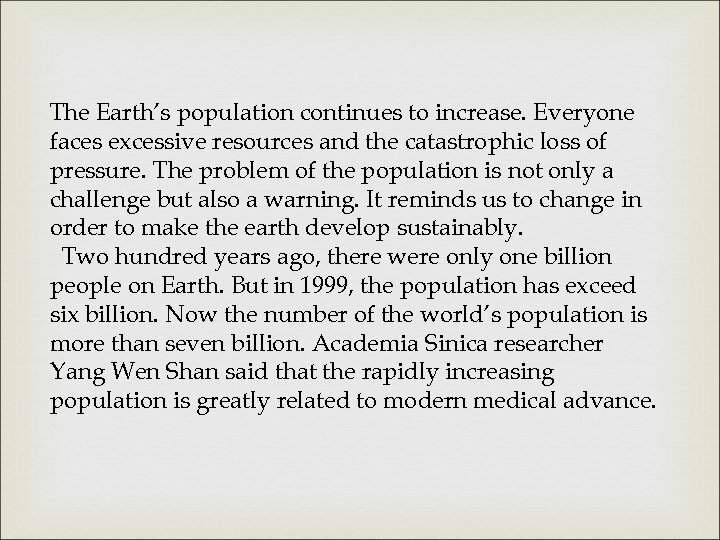 Academia Sinica researcher Yang Wen Shan said that the rapidly increasing population is greatly related to modern medical advance. 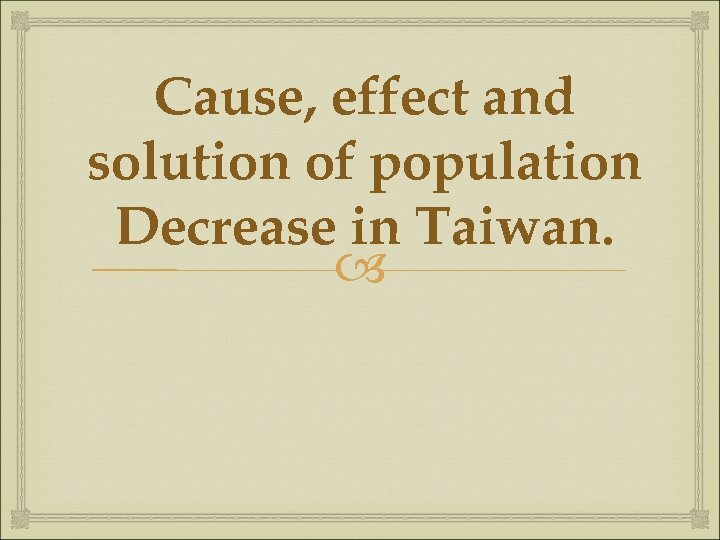 Cause, effect and solution of population Decrease in Taiwan. 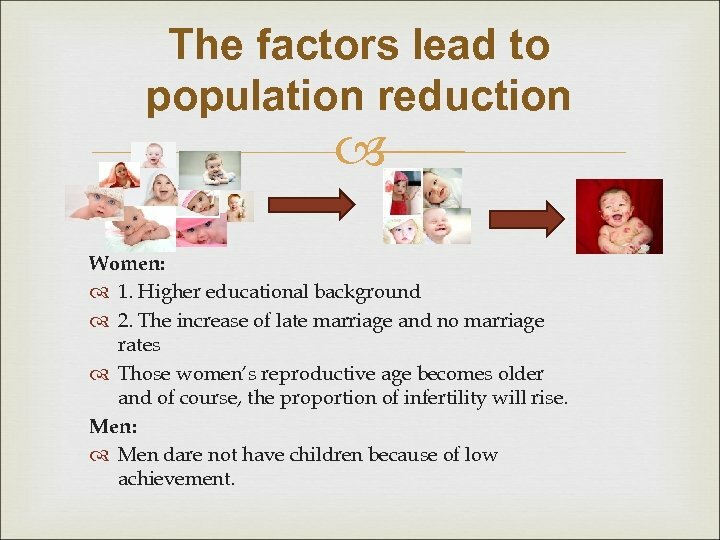 The factors lead to population reduction Women: 1. 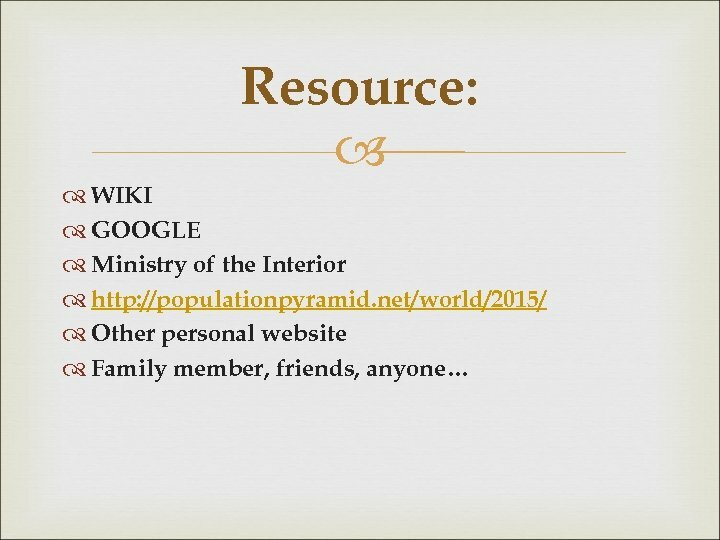 Higher educational background　2. 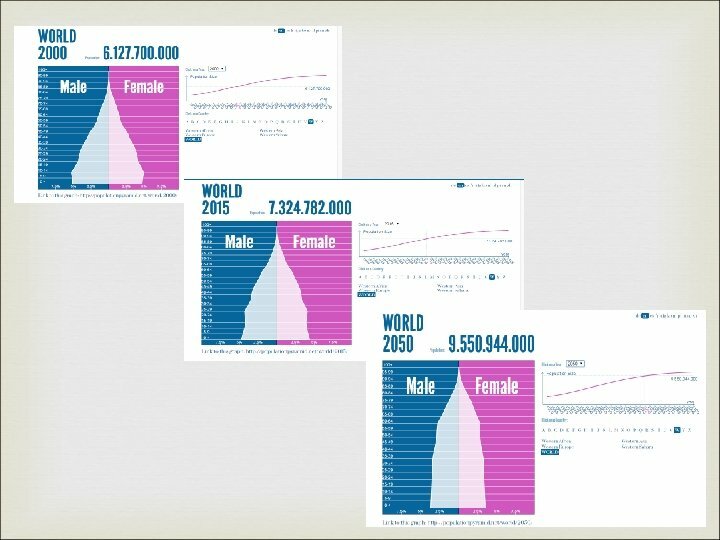 The increase of late marriage and no marriage rates Those women’s reproductive age becomes older and of course, the proportion of infertility will rise. 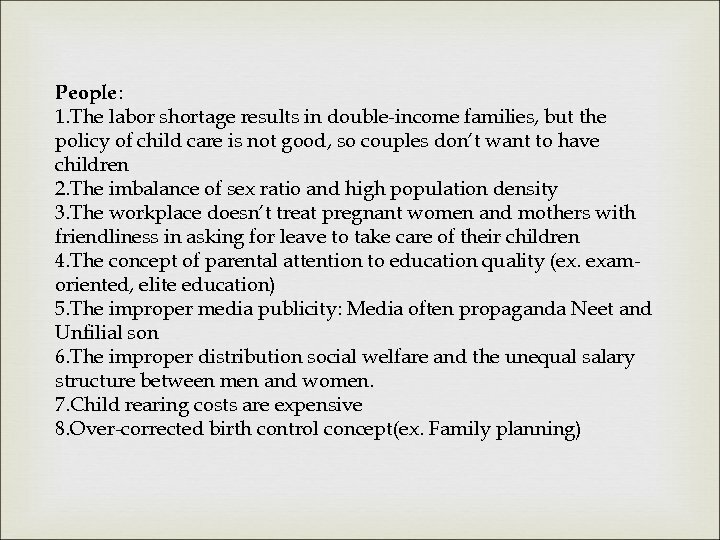 Men: Men dare not have children because of low achievement. 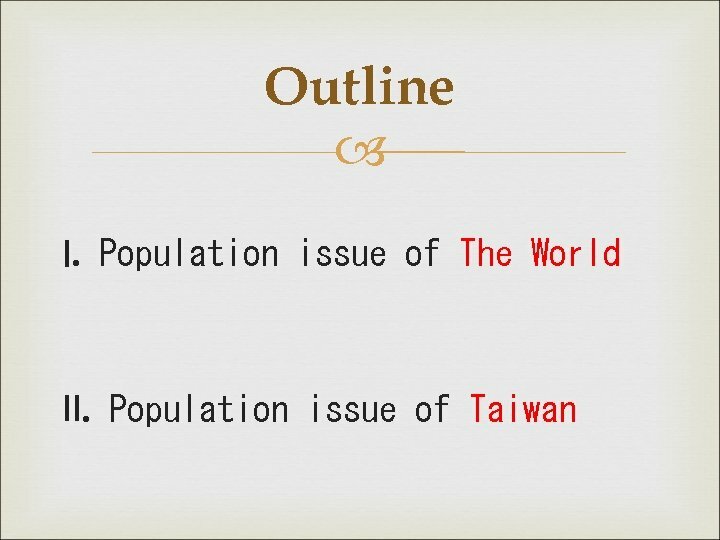 Summary Although the population problems in the world are not identical, but the issues like this is what we people concern about until now. 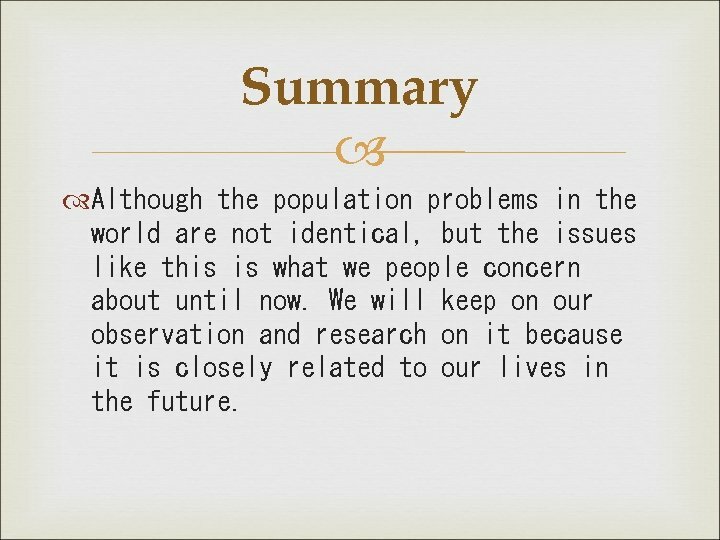 We will keep on our observation and research on it because it is closely related to our lives in the future.